Summer may be winding down for August 2018, but there’s still plenty of sun left. Looking for the perfect outfit? We rounded up the cool styles great for the warm weather season. 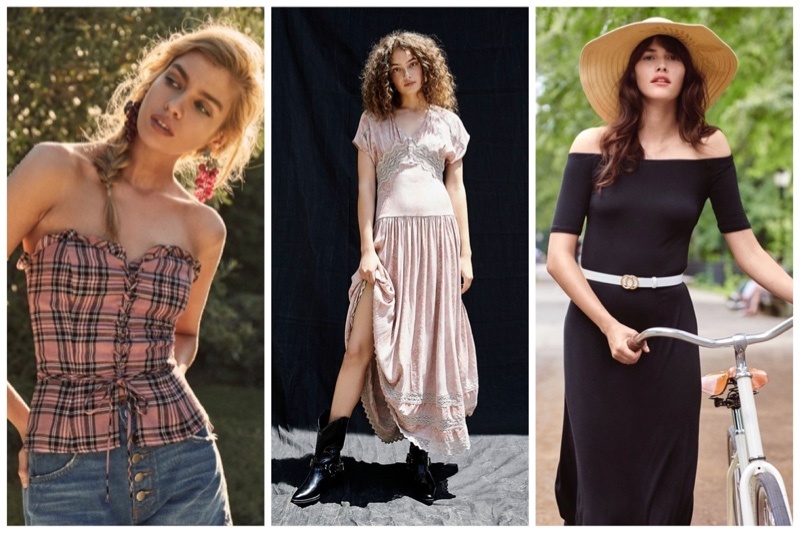 From breezy maxi dresses to one-piece swimsuits and patchwork denim, get ready to update your late summer wardrobe. For accessories, wide-brimmed hats and statement sunglasses will round out your look. Want even more outfit ideas for August? Take a look below! & Other Stories takes on the pajama trend for its latest style guide. Called ‘Day to Night’, the fashion shoot focuses on silky sets, slip dresses and loose-fitting kimonos. From floral embroidery to abstract prints, pair these separates with pieces already in your wardrobe. Worn with miniature bags and strappy sandals, & Other Stories embraces relaxed styles. Taking to the bustling city streets, Hilary Rhodaposes in the season’s boldest outerwear for Vogue Japan’s August 2018 issue. Captured by Walter Chin, the brunette beauty wears colorful prints, voluminous shapes and chunky knitwear. Styled by Aurora Sansone, Hilary poses in designs from the likes of Chanel, Givenchy and Versace.